that will bring them back among the family for some hours. 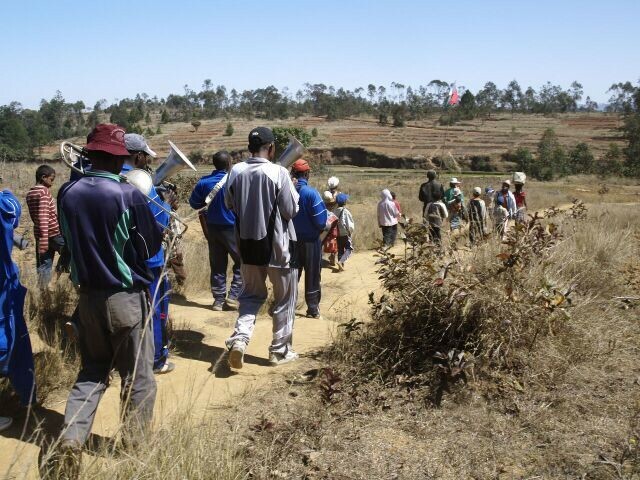 Lost in the plateaus of Madagascar, the familiar ritual of Famadihana. The local conception of life consists in the belief that, with the age, the human body passes from a status of full energies (young people-active) to a gradual loss of it (old people-slow). 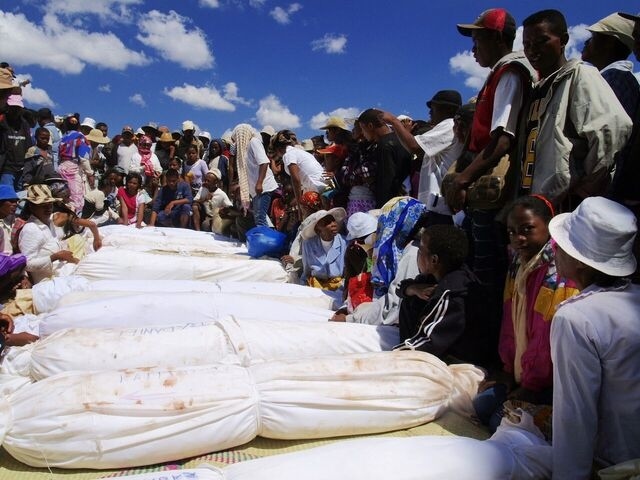 What western mentality calls death, for Malagasy is a different stage of life: passed away people have less energies in the body so they remain still, but they are still living! As the rest of the family they need food, drink and... to dance! 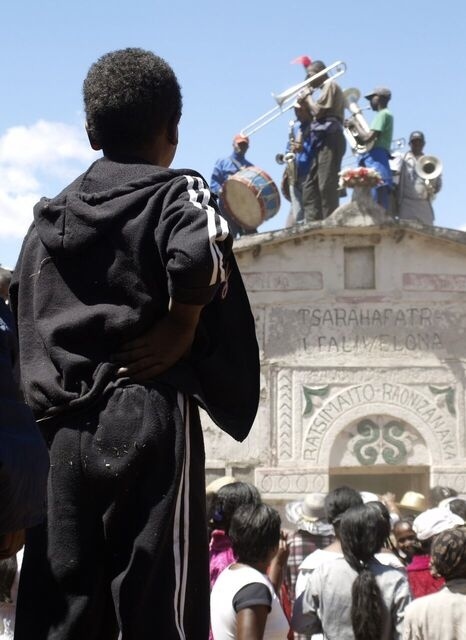 During the ritual of Famadihana the extended family walk to the tomb and celebrates itself: with the constant presence of traditional music, they meet their "dead" people, tell them the last news about the family, add to their body a new lamba (see pictures) and they pray for them. 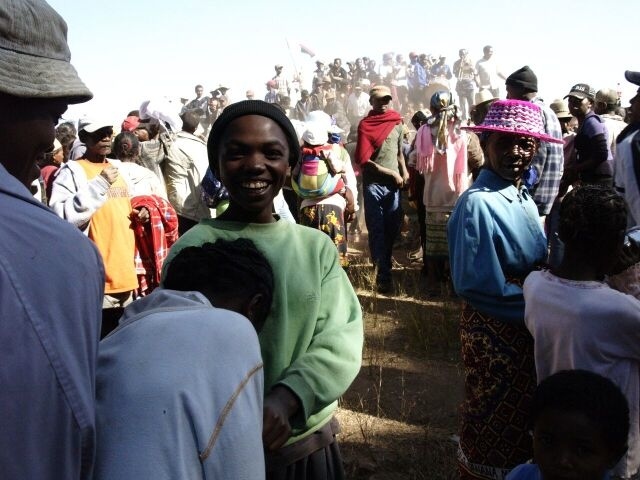 As part of the research team, I conducted interviews to local people and managed the recording sessions of the ethnographic documentary "Madagascar, une Belle Vie, une Belle Mort". Partner IRFOSS, Institute for Social Research and Alma Mater Studiorum, University of Bologna. According to the resources of the group, Famadihana occurs every year or less often. The organisation of such an event has a large impact on the economy of the family through the whole year. 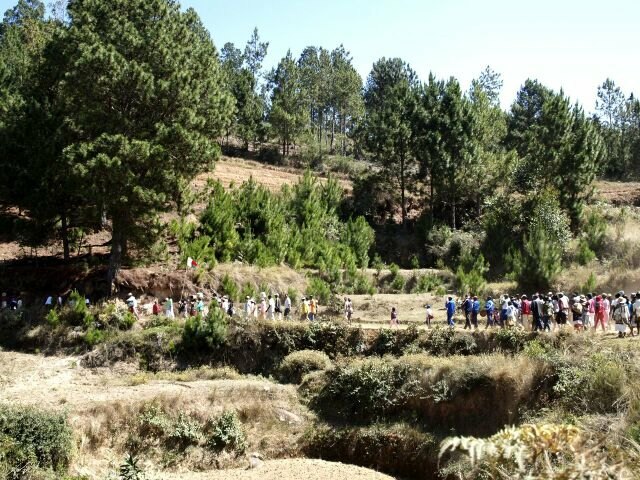 Family members walk to the tomb to gather with their common ancestors. For the important event, wealthy families might want to hire a private orchestra. In this photography, family and musicians hike for several kilometres before reaching the place where the ritual of Famadihana will take place. Once reached the mausoleum the elders dance in front of it before breaking down the door to get in. 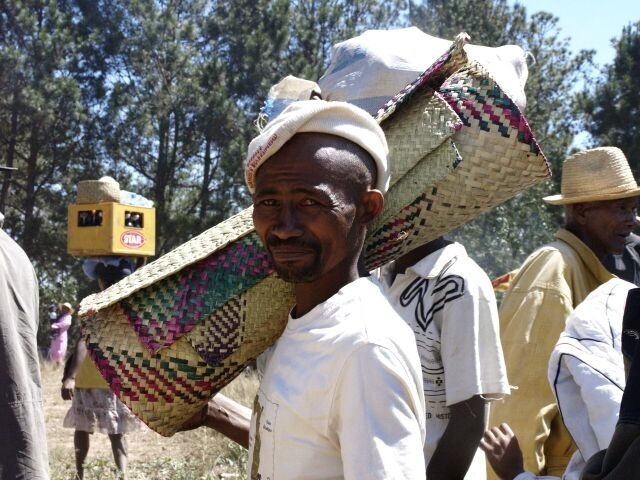 Part of the process consists of carrying the ancestor's body rolled in a woven straw mat and adding a new sheet (lamba) to it. 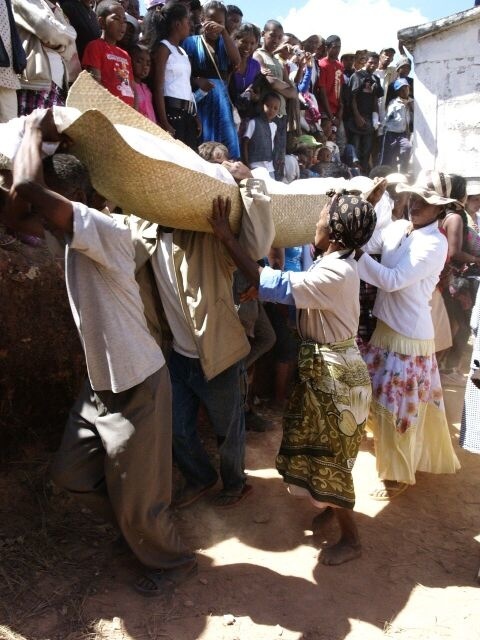 The joyful moment of the extraction of the ancestors from their common grave. Music accompanies the whole ritual and represents the status of the family. 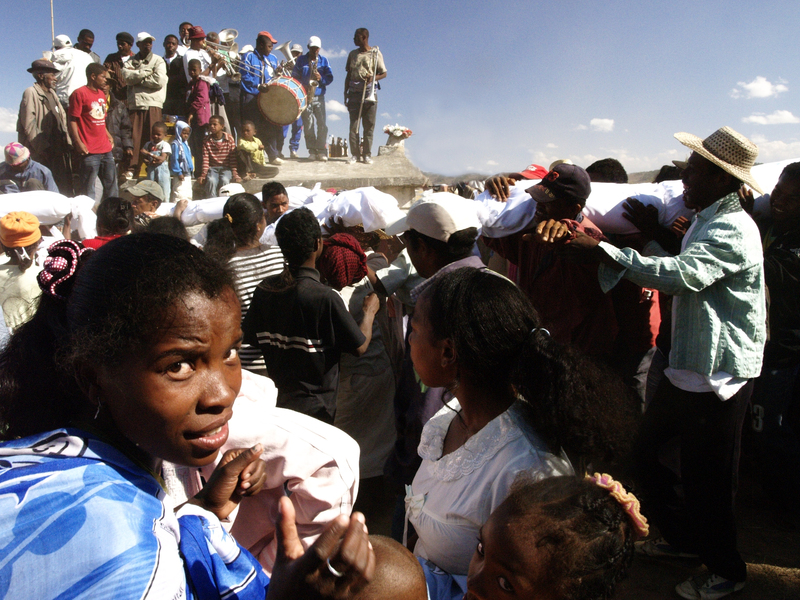 Famadihana is a crucial possibility that the group has to meet their ancestors, pray together, introduce newborns and update them about the past year while changing their "lamba", the white sheet that wraps them up. After all the above fases are cumplished, the party starts. Everybody, from children to mummies dance, drink, enjoy the family reunion. © 2019 Gaia M.C.Cittati Photography Studio. All rights reserved.